See a complete listing of Contributing Authors to the ATLAS Public site. 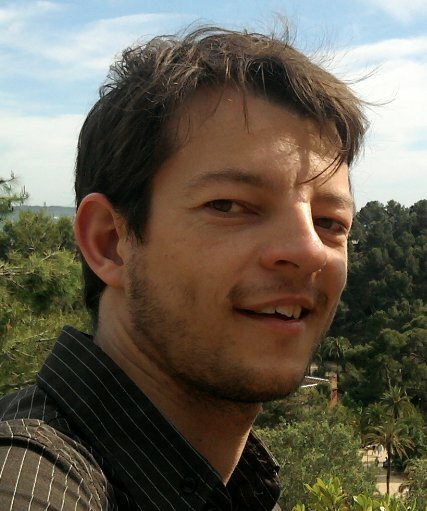 Dr. Marc Goulette is a particle physicist working on the ATLAS experiment for the University of Geneva. His research interests in Particle Physics are: Standard Model and Electroweak Physics (W, Z, electrons, photons), MC Generators, structure functions, Di-boson Physics, Higgs searches, Neutrinos, W’, Z’, new physics searches in general, and outreach activities. What should we know about the Higgs particle? On the 4th of July, CERN announced the discovery of a new particle that can be interpreted as the Higgs boson with both the ATLAS and CMS experiments. Since this is one of the most important discoveries over the last 10 or 20 years in particle physics, let’s have a look to the full story. Good morning science addicts and everyone! What a special day at CERN today! Indeed, the ATLAS and CMS experiments have just released some outstanding results and observations about the search for the Higgs boson, and the ATLAS and CMS spokespersons (Fabiola Gianotti, and Joe Incandela) just presented those results in the main auditorium at 9 a.m (CERN time).